A nice, evergreen ground cover with foliage that turns bronze in the fall. A profusion of red flowers in summer. Lovely, deep olive, woolly leaves are covered with salmon-pink flowers June - July. Excellent aromatic ground cover. Tiny leaves with pretty gray-silver variegation form a cushion of foliage highlighted by dainty flowers. Makes an excellent edging plant. 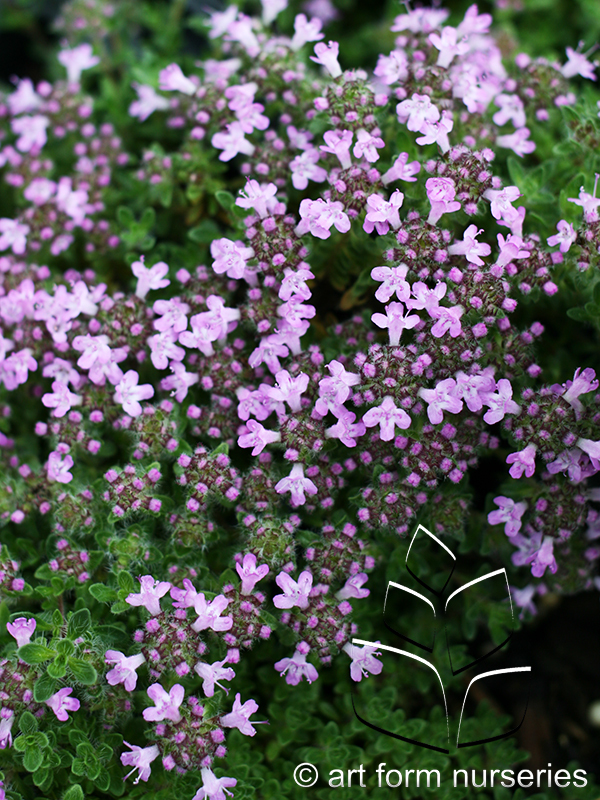 Thyme adds flavor to vegetables, stuffings, soups, seafood, meats and poultry. A low-growing creeper with aromatic, hairy, silver-gray leaves and pale pink flowers. 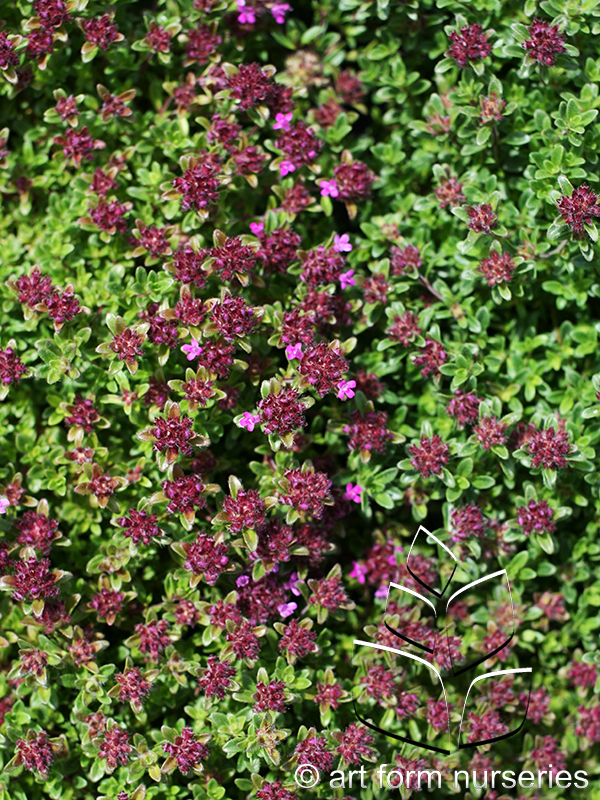 Foliage forms a tight mat, making it ideal for ground cover, edging or rock gardens. Also used for culinary and medicinal purposes.